Quick summary: $20 Boss is an entrepreneurship program for secondary school students. It builds enterprise skills and teaches students how to be entrepreneurial. In this lesson, students will watch a short clip that explores the concept of Purple Cow Marketing, then complete a ‘Plus-Minus-Interesting’ visible thinking routine to synthesise their understanding. They will interview a peer to better understand people’s experiences of marketing, then will work in their business teams to consider their target customer and plan and implement a marketing strategy for their own product or service. FYA is all about backing the next generation of young people who are going to rethink the world and create a better future. Relevant parts of Year 7 achievement standards: Students explain the importance of short- and long-term planning to individual and business success and identify different strategies that may be used. They describe the characteristics of successful businesses and explain how entrepreneurial capabilities contribute to this success. Relevant parts of Year 8 achievement standards: Students describe the different ways businesses can respond to opportunities in the market. They propose a range of alternative responses to an issue and evaluate the costs and benefits of each alternative. Relevant parts of Year 9 achievement standards: Students generate alternative responses to an issue and use cost-benefit analysis and appropriate criteria to propose a course of action. They apply economics and business knowledge, skills and concepts to familiar, unfamiliar and hypothetical problems. Relevant parts of Year 10 achievement standards: Students gather and analyse reliable data and information from different sources to identify trends, explain relationships and make predictions. Students generate alternative responses to an issue, taking into account multiple perspectives. General capabilities: Literacy, Numeracy, Critical and Creative Thinking, Personal and Social Capability, ICT Capability. Unit of work: $20 Boss. Level of teacher scaffolding: Medium – guide students through lesson activities. Resources required: Student Worksheets – one copy per student. Device capable of presenting a video to the class. Marketing Plan handout, Weekly Business Tracking handout. Web-enabled devices, publishing software, printers and art supplies (to create marketing materials). Keywords: Marketing, campaign, advertising, sales pitch, enterprise skills, ideation, creativity, 21st century skills, innovation, entrepreneur, group work, team, project based learning, real-world learning, financial literacy, $20 Boss, Foundation for Young Australians, New Work Order, job skills. Teacher content information: $20 Boss is an immersive entrepreneurship program for secondary school students. 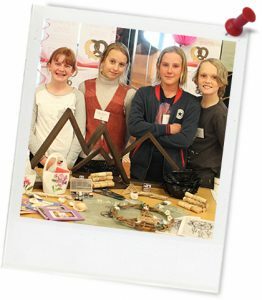 Students use $20 of start-up capital to create, launch and operate their venture over the course of a school term. Teachers are supported through a comprehensive toolkit that enables end-to-end delivery in the classroom. All materials are aligned to the Australian Curriculum. The $20 Boss program is the largest entrepreneurship program in Australia. 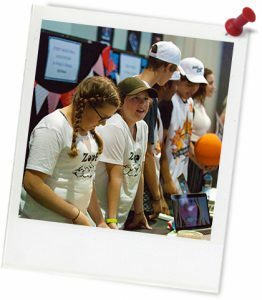 In just three years over 27,750 students across Australia in over 500 secondary schools have participated. Thought starter: “Always deliver more than expected.” - Larry Page, co-founder of Google. What have you purchased recently or what do you wish to purchase? How did you hear about this (e.g. ads, social media, word of mouth, someone you know has one)? Have you purchased something that has been mass marketed? Did you buy it because you liked how they marketed it? If so, what appealed to you? Do any of the marketing techniques you've identified stand out as purple cow marketing techniques? Describe how.